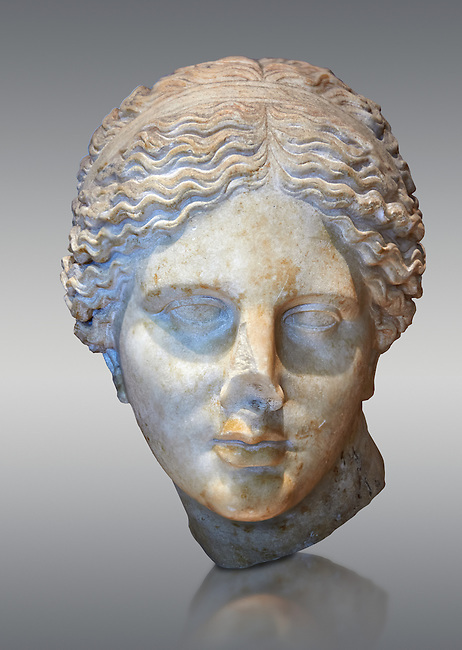 Roman marble head of Aphrodite (Venus) known as the “Kaufmann head” once conserved in Berlin. Circa 150 BC found in Asia Minor. Inv MND 2027 ( or Ma 3518) Louvre Museum, Paris.